Now may be the time to get your 1031 exchange completed. A recent proposal in Congress may make it more difficult to complete in the future. Capital gains taxes can cut into profits for many modern businesses. Section 1031 of the Internal Revenue Service (IRS) code allows companies and consumers to defer taxes on these real estate transactions if funds are used to purchase a similar type of property within 180 days. Champion Title can help you manage 1031 exchange transactions to ensure full compliance with IRS requirements and to ensure that you receive the full benefits of this tax deferral strategy. This can provide real advantages for your business, including improved cash flow and the potential for lower taxes on capital gains in the future. 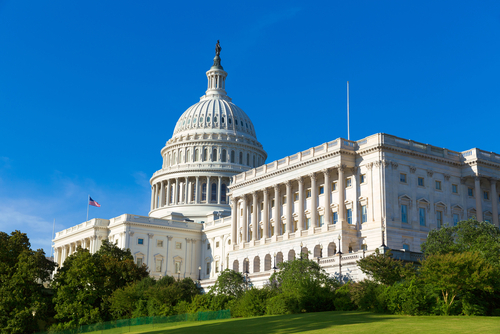 A proposal currently in process in the U.S. House of Representatives, however, could eliminate this tax deferral option permanently. Proponents of the proposal note that it will allow for greater streamlining of the IRS regulations that pertain to capital gains and will make filing and processing returns easier for businesses and consumers. The proposed changes are part of a larger initiative to reduce the complexity of IRS code and to make the rules more accessible for most Americans. Some analysts foresee serious issues with the implementation of the proposed new rules. Businesses interested in upgrading their office space or manufacturing facilities may not enjoy the same flexibility in managing tax burdens when selling their current properties and relocating to new premises. If you are considering a 1031 exchange, Champion Title can provide you with the prompt and reliable service needed to ensure that your transaction goes smoothly. We will provide you with the expert guidance needed to manage your 1031 exchange for maximum benefit. Call us today at 703-444-4100 to start the process today.